Home » Debt Learning Centre » Additional Resources » How Will a DMP Affect My Credit & Interest Rates? 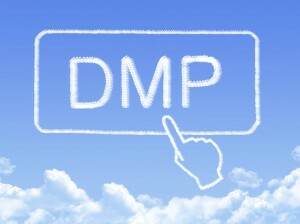 How Will a DMP Affect My Credit & Interest Rates? Comparing a debt management program to a debt consolidation loan. Does this program negatively affect your credit score initially? I am not sure I want to go this route or do it on my own. I prefer obtaining a personal loan for $10,000 but I cannot obtain one for less than a 28% interest rate which is a $400 payment that I cannot afford. I’m looking for a payment around $300. This is a great question because you’re in a situation that people often find themselves in – where your credit score isn’t high enough to qualify for a low-interest debt consolidation loan, but it’s not so bad that you’re unconcerned about potential damage to your credit score if you use a debt management program. It’s basically a gray area when it comes credit scores and debt solutions. This is exactly the situation where credit counselling can provide the most benefit if you qualify for enrollment in a debt management program. If you qualify for the program, we’ll be able to negotiate the lower interest rates with your creditors. Most of the time a debt management program can help you preserve – or in some cases, even improve – your credit score. When you enroll in a debt management program, your credit counsellor creates a consolidated payment schedule that works for your budget. All of your credit card monthly payments are rolled into one bill and the total payment are reduced by about 30-50%, on average. Once we know the plan will work for you, we prepare proposals for your creditors so they can review the new payment plan and interest rate adjustments – i.e. you’ll pay back what you actually borrowed with lower interest in a way that’s more manageable on your budget. 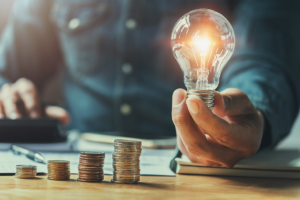 On average, the interest rates applied to debts included in a debt management program will be negotiated down to between 6-10%, but some creditors may reduce interest further for severe hardship cases. Since you’re paying back everything you owe, there should not be any negative items in your credit profile for nonpayment or missed payments if the program is executed correctly. As long as you communicate with both the counselling team and your creditors and provide paperwork and responses promptly, the impact on your credit will be (at worst) neutral – meaning you won’t see a decrease in your credit score. Since you eliminate your debt load to improve your credit utilization ratio while making payments to build a positive credit history, in some cases people who complete the program successfully have actually seen their credit scores improve upon completion. In your case, reducing the interest rate from 28% to between 6-10% will help you save significantly on the interest charges applied to your debt. Let’s assume you can qualify for the program to pay off your debt with monthly payments of $300. 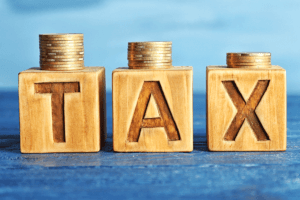 What’s more, since the interest rate is reduced with a debt management program, it doesn’t take any longer to pay off the consolidated debt even though the payment is lower than what you qualified to receive on the loan. So assuming you can qualify for a debt management program and we can help you make a plan to hit your target monthly payment of $300, this may be the solution you need. We’ll need to complete a full debt and budget evaluation to see what we can really do for you. You can call us toll-free at 1-800-320-9929 to get a confidential evaluation with one of our trained credit counsellors at no charge. 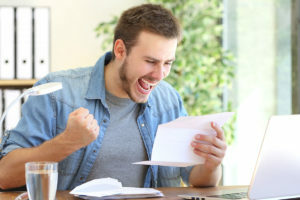 A final note on credit scores: In most cases, the credit effect of successful debt management program completion is either neutral or positive overall. 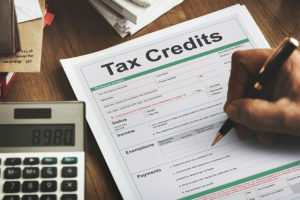 In rare cases, miscommunication or incomplete program paperwork at the outset of the program may cause a creditor to report a missed payment during the first month of enrollment which may be disputed to have the information corrected at a later time. This can also usually be avoided by open communication and immediate responses to any requests from your counselling team and/or creditors.